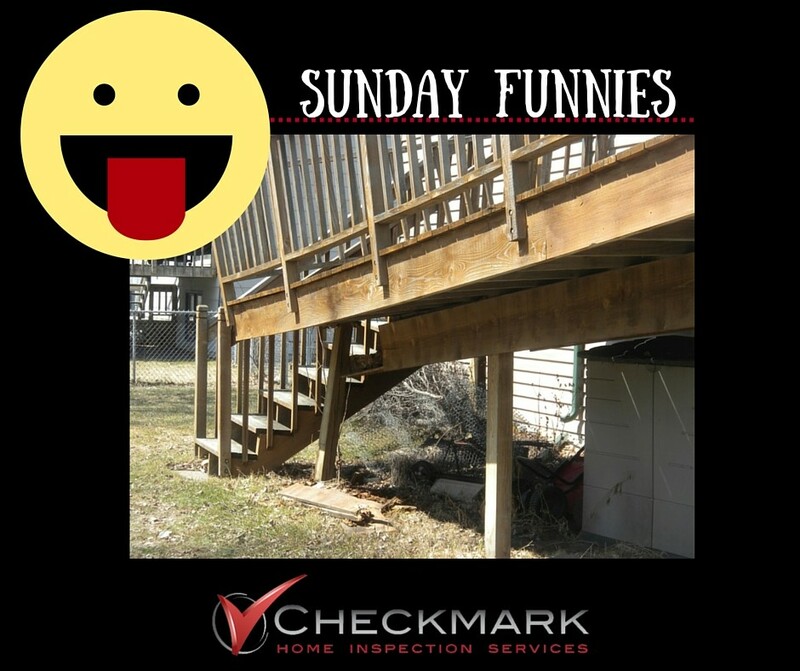 If you have ever looked at my Facebook page, you’ve probably noticed a recurring feature called the “Sunday Funnies.” It usually contains a picture of something ridiculous – something you probably think that I never personally seen during my years of inspecting homes in Northern Virginia! You are wrong! As a home inspector, I sometimes feel like Jerry Seinfeld. There’s no way that I could make up the things that I’ve seen! A lot of the time, it’s not even the older homes that produce the best stories. Some of the newer construction (or repairs) can be just as bad, if not worse. And Duct Tape does not solve all home repairs! Unfortunately, just because something is new, it doesn’t mean that it is working properly. On a recent job, I was inspecting a new hot water heater installed by a plumber in a 28-year old townhouse. The plumber either forgot to connect the vent or decided that it wasn’t in his job description. Either way, every time the gas hot water heater turned on, the basement filled with carbon monoxide. It was so bad that the client and I both left the basement with headaches. On another home inspection, I was reviewing some shingles recently replaced by a roofer. Once again, either absent-mindedness or something worse got the better of the roofer and he forgot to reconnect the flue. Every time the furnace came on, the attic would fill with carbon monoxide. 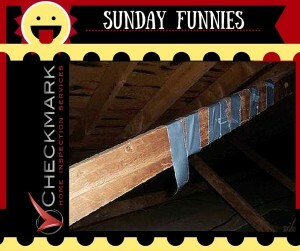 It was lucky that I did a home inspection for the client when I did. The carbon monoxide levels could have become deadly. 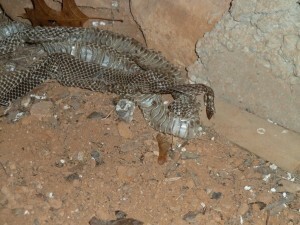 Somewhat less deadly, but still pretty creepy, was the snakeskin I found in a homeowner’s crawlspace this winter. 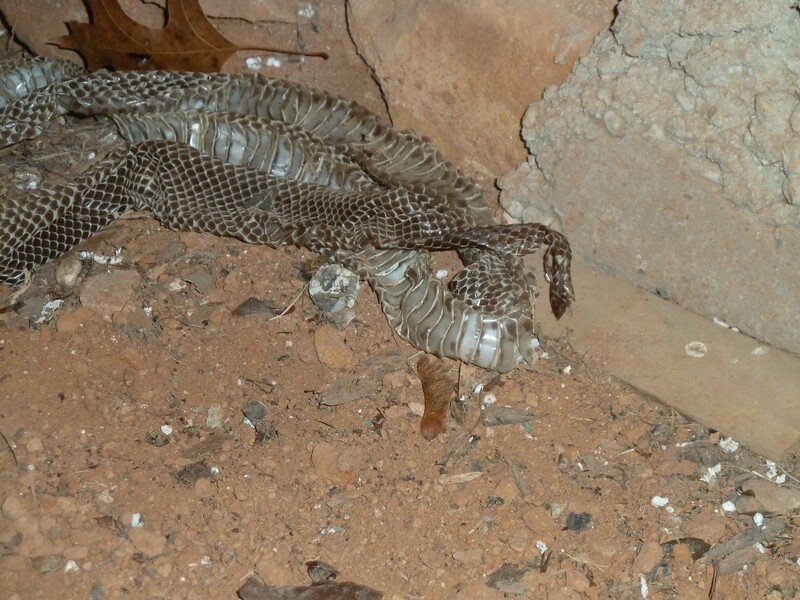 I don’t know about you, but I don’t want anything slithering in my house. I shudder just thinking about it! I’ve seen crooked decks, air filters that look like they’ve been through a coal mine, duct tape, duct tape, and more duct tape, and then just recently, I discovered some sort of brass rod stuck in an electrical outlet. Brass may not be the best conductor, but it certainly isn’t something that should be hanging out in an electrical outlet. The interesting things I see every day make my job pretty amusing. 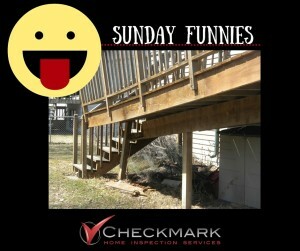 You wouldn’t think it, but home inspectors could certainly make the “Most Entertaining Jobs” list. All joking aside though, one of the best aspects of my job is that one of these stories from my home inspection, might actually save lives.